The next generation of glass protectors. 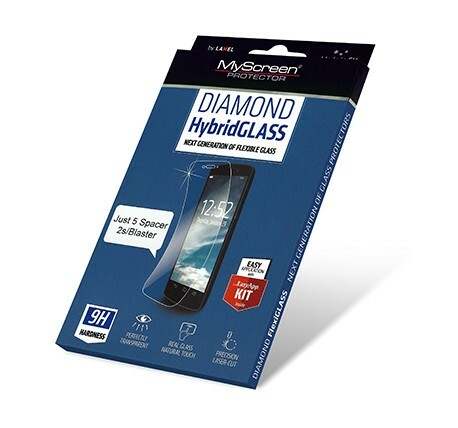 DIAMOND HybridGLASS with impressive 9H scratch resistance may protect even against damage caused by a fall and gives you the peace of mind during an everyday use of the device. Easy to supply without air bubbles and to remove without any residues. In the package you will find: 1 pc. dedicated DIAMOND HybridGLASS film, 1 set of EasyApp KIT, wet cloth, dry cloth, application card, multilingual manual.